This page notes Ishizu Ishtar's skill, cards, and decks in Yu-Gi-Oh Duel Links. 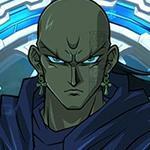 Ishizu's Prescience skill will be changed on May 23. The new skill description is below. Prescience You can view the top card of both players' Decks until the end of the 5th turn. Summon LIGHT monsters 200 times! Once you summon a specific LIGHT-attribute monsters 200 times, she appears at the Gate and Ishizu unlock missions are available. For more details, check the link below. Many of Ishizu level up reward are Gravekeeper’s card set. Although currently, the field spell “Necrovalley” are not yet available in the card pool. 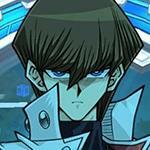 This makes the Gravekeeper’s theme-deck become quite weak when compared to beatdown deck in general. Most of Ishizu’s duel reward cards are Gravekeeper’s card set. However, without “Necrovalley” field spell in the card pool, it is quite difficult to construct a powerful deck based on Gravekeeper’s theme. 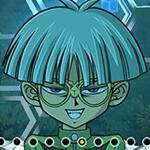 Other monster cards that player can receive from her such as “Agido” and “Keldo” is just cards that were used in her deck in anime/manga, and useless. The list of cards that you can obtain by winning a duel against level 40 Ishizu is below. 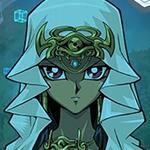 Ishizu Ishtar is a descendant of the Gravekeeper family who have safeguarded the Millennium Items. 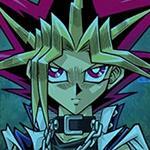 She is determined to rescue her younger brother Marik fromthe darkness that has overtaken him. The power of her Millennium Necklace allows her to see the future. How to complete the quest "Win a Duel against Ishizu Ishtar with at least 6000LP remaining" when u just have 4000LP? Use Tea with the +2500LP skill at level 13. 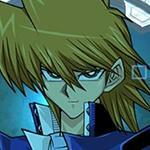 Then proceed to dual a LvL 10 Ishizu, which should be easy win even with 2 card handicap. Or use Joel +1000Hp skill + healing spell. How i tried it , but it doesn't work how to unlock her i manage to defeat her at lvl 30 but i cannot defeat her i have used joey for a dozen of time still dont manage to unlock her how? I just unlocked her without any difficulty using thea and my life points 6900. Luckily she threw weaker monsters and didnt attack me. Maybe luck is on my side. I also used cards that give extra life points. Gain LP and assure that you have 6000 LP remaining before you beat her. I kinda wish that they made it so you could get a mat that featured Blast Held by a Tribute's art without the Duel Links logo if you win against Kaiba using Blast Held by a Tribute as Ishizu... I'd be willing to bet it would look very nice. 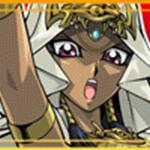 Also hoping we get more gravekeeper's support in the future with either her or normal Marik if he ever gets released. Not asking for too much, maybe Nobleman, Guard, or Rite of Spirit. Maybe Descendant or Heretic if they're generous. Not pushing it by asking for Necrovalley or Spy right off the bat, but I love the archetype and the lore behind them. It's such a shame that we can't really play a "pure" Gravekeeper deck in Duel links because there's not really enough muscle or advantage in the deck to push through, commonly having to use things like Soul Exchange or Baggy Sleeves to even cohesively function. 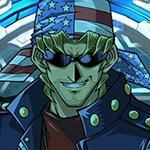 I'd say there's a reasonable chance of Rite of Spirit and Gravekeeper's Shaman showing up in Duel Links. 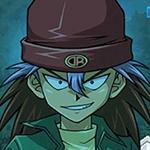 They were included in the TCG's Speed Duel decks. (Granted, so was Gravekeeper's Cannonholder, which I highly doubt would ever show up here.) I wonder if Supernaturalist would be a possibility. Without actual Necrovalley, its protection is fairly weak, so I could see it happening honestly. Gravekeeper's Cannonholder is already farmable R card from Ishizu. Wow man Sealed tombs is really powerful with Vampires ! Tech in 1-2 solemn scolding and remove some 5+ stars and mausoleum. 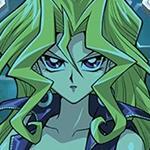 why do konami release this character if her deck is way too useless? What's the point in giving us cards like cat of ill omen and spell cards that mention necrovalley in them if there is no necrovalley it's so annoying when they do stuff like that. With new skills coming out for other chars, you'd think Konami would have given her a necrovalley skill. I don't think so. It would be so OP, since Necrovalley negates effects that involve the graveyard. Yes, just like other characters, they'll give her a skill getting Necrovalley if your life points are 500 or below. Hardly op when we have decks like Geargia, sylvan and sea attack practically running on auto. Yeah, a Necrovalley skill won't be OP anymore in today era's DL metagame. 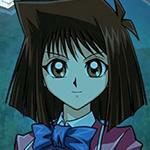 Not to mention Ishizu herself almost never smile anyway. Mudora is the only one with a mouth, and even then it's only on his mask, which is not smiling and can't smile. Perhaps it's a pun on fate "smiling" on people? Or they just wanted to give Ishizu a Fairy skill. And now Jesse also has that skill. Maybe they should hang out together. 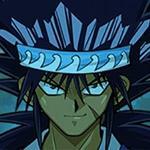 Is that possible to unlock this character when we used light card in gx nor old one? Can Ishizu Ishtar get skill: LP Boost α and how to get it? I reached 40 level And I did not get it o_O I got LP Boost β and LP Boost γ, but no LP Boost α .. Thanks for any replay!